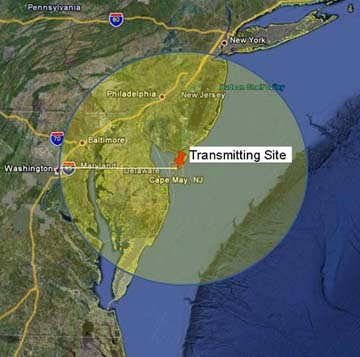 GPS provides reliable long-term navigation information but requires a direct line of sight between the GPS receiver and GPS satellites. On the other hand, an inertial measurement unit (IMU) offers continuous autonomous navigation information, but its accuracy degrades over time due to the cumulative errors of the inertial sensors. The integration of GPS’s long-term stable accuracy with the continuous but short-term accuracy of an inertial navigation system (INS) can provide accurate and uninterrupted positioning for many difficult navigation scenarios. Land vehicle navigation is, in fact, one of the most challenging navigation modes because GPS signal quality degrades significantly when a vehicle goes through urban canyons or forest canopies. Moreover, GPS signals — and, consequently, positioning information — can be completely lost when, for example, a vehicle goes through a tunnel or passes under a bridge. With the development of low-cost, microelectromechanical (MEMS) inertial sensors and GPS technology, integrated INS/GPS systems are beginning to meet the growing demands of lower cost, smaller size, and seamless navigation solutions for land vehicles. Although MEMS inertial sensors are very inexpensive compared to conventional sensors, their cost (especially MEMS gyros) is still not acceptable for many low-end civilian applications, such as commercial car navigation or personal location systems. In an ideal case, three accelerometers and three gyroscopes — that is, a complete IMU — should be part of the IMU to faithfully portray the three-dimensional motions of a vehicle. However, the unremitting drive to reduce the cost to consumers of vehicle navigation systems has led to the development of simplified sensor configurations. Gyroscopes are usually more expensive than accelerometers in an IMU MEMS. For example, when purchased in bulk, a MEMS gyro chip currently costs about $10 per axis or a total of $30 for a three-dimensional IMU, not including other hardware, electronics, or digital signal processor, which is not acceptable for many applications. 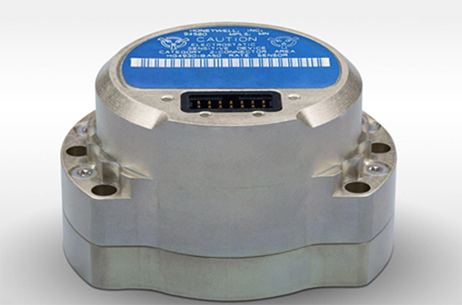 An efficient way to reduce the expense of these systems is to reduce the number of gyros and, therefore, to use a partial IMU (ParIMU) configuration. For land vehicular use, the most important gyroscope is the vertical gyro that senses the heading of the vehicle. As a result, considerable research has recently been directed towards finding ways to minimize gyroscope usage in the INS or even developing gyro-free INS systems. The most commonly used ParIMU consists of one vertical gyroscope to detect the heading and two or three horizontal accelerometers for determining the velocity of a vehicle. The accuracy of such partial IMUs will definitely be less than the accuracy of a full IMU. Consequently, the following key questions arise: is the degradation in accuracy acceptable considering the reduction of cost, can we use the same full IMU processing techniques with ParIMUs, and can we improve the accuracy of the partial IMU using other aiding sources during GPS signals outages? This article will address these questions based on some of the recent development and testing conducted by the Mobile Multi-Sensor Systems (MMSS) Research Group at the University of Calgary. In particular, we will compare the use of one- and two-gyroscope IMUs integrated with GPS as well as the potential benefit of exploiting other data on vehicle dynamics, such as the odometer outputs, to improve positioning solutions while minimizing costs. This research attempted to meet the two challenges of the current MEMS Inertial/GPS navigation systems, i.e. reducing the cost and improving the performance, by introducing a partial IMU (ParIMU) configuration, and applying two different methods to improve the navigation performance of partial IMUs through the use of additional information (NHC and odometer). Testing of a ParIMU configuration consisting of one vertical gyro and two horizontal accelerometers (1G2A) can reduce the inertial sensor cost by 50 to 65 percent, while maintaining an acceptable navigation performance with some external aiding (NHC and odometer update) which proved to be a very promising design for land-vehicle navigation applications. This study was funded by research grants from Natural Science and Engineering Research Council of Canada (NSERC) and Geomatics for Informed Decisions (GEOIDE), Network Centers of Excellence (NCE) awarded to Dr. Naser El-Sheimy. a co-author — along with the author of this article — of the AINS software used in this research, (2) his current and former research team members, Dr. Kai-Wei Chiang, Dr. Dongqing Gu, Dr. Sameh Nassar, Bruce Wright, Chris Goodall, and Zainab Syed, for their help in collecting the datasets used in this article, and (3) his former post-doctorate fellow, Dr. Xiaoji Niu, and his current research engineer, Bruce Wright, for their help in developing the ADI MEMS IMU used in the dataset described in this article.